God of War is the 2018 Game Awards’ Game of the Year, beating out stiff competition from games both big and small including Red Dead Redemption 2 and Celeste. Assassin’s Creed Odyssey, Spider-Man, and Monster Hunter: World also came up short in the category, though a few of them picked up honors elsewhere during the night. 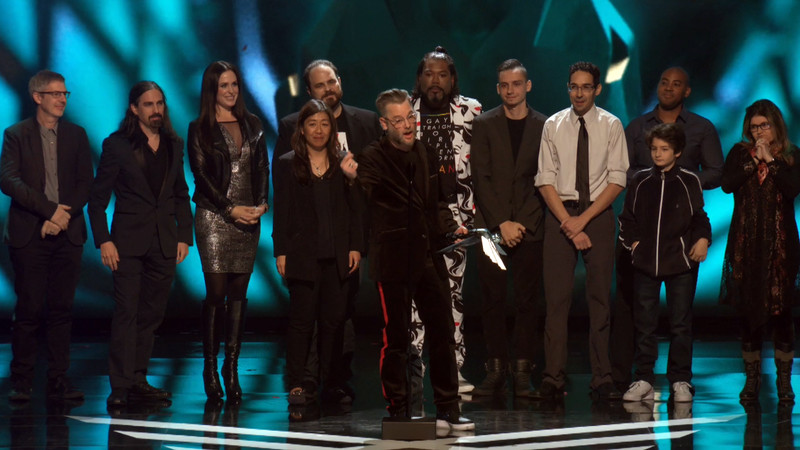 “You guys, the fans around the world, together we all dream big dreams and that’s an amazing feeling every day when we walk into the studio to create something like God of War,” said Shannon Studstill, the game’s executive producer, while accepting the award on behalf of Sony Santa Monica Studios. She also went onto thank her children, all of the families that went through God of War’s development together, as well as the president of Sony Worldwide Studios, Shuhei Yoshida.